We are offering wide range of Outdoor Cooling System. These outdoor cooling systems are designed to provide excellent cooling effect especially during summer seasons. We are offering wide range of Outdoor Cooling System. These outdoor cooling systems are designed to provide excellent cooling effect especially during summer seasons. Our outdoor cooling systems have sprinkler systems that spray water around the area ideal for controlling dust particles. 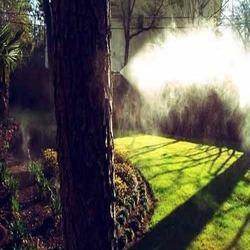 Outdoor Mosquito Control is offered by us keeping in mind the harmful diseases spread by mosquitoes in the environment. These are safe to operate and are offered at most competitive prices to our clients. These work efficiently and are delivered in the promised configurations within the asked time frame. 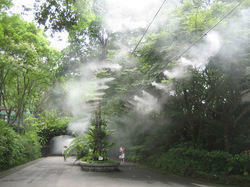 Looking for Outdoor Cooling System ?